A major UK dairy company has launched a vegan ice-cream for the service industry - in response to the growing demand for dairy-free desserts. The vanilla flavor ice-cream from Suncream Dairies is sold in 5 litre resealable Napoli containers, which are described as 'ideal for use back of house or in Napoli scooping cabinets'. The 'Love Vegan' dessert isf ree from all 14 declarable allergens including gluten, soya, nut, lactose and egg, Nd is registered with The Vegan Society. Rebecca Manfredi, Suncream's Managing Director, said: "With veganism and free from predicted to be two of the fastest growing food trends, we wanted to create a non-dairy ice cream that everyone can enjoy. It's packed full of flavour and despite being milk-free, delivers a lovely creamy mouthfeel. "Ice-cream remains a popular choice all year round – whether on its own, as an accompaniment to desserts or as a scoop for a treat – and with the demand for vegetarian and free from food growing all the time, it makes good business sense for caterers to offer a vegan option." Gavin Kellett, Head Chef at the The Vine Tree restaurant in Llangattock, Wales, and twice winner of The Cordon Vert Chef of the Future competition which specialises in vegetarian cuisine, added: "At The Vine Tree we try to source the best possible ingredients and products. 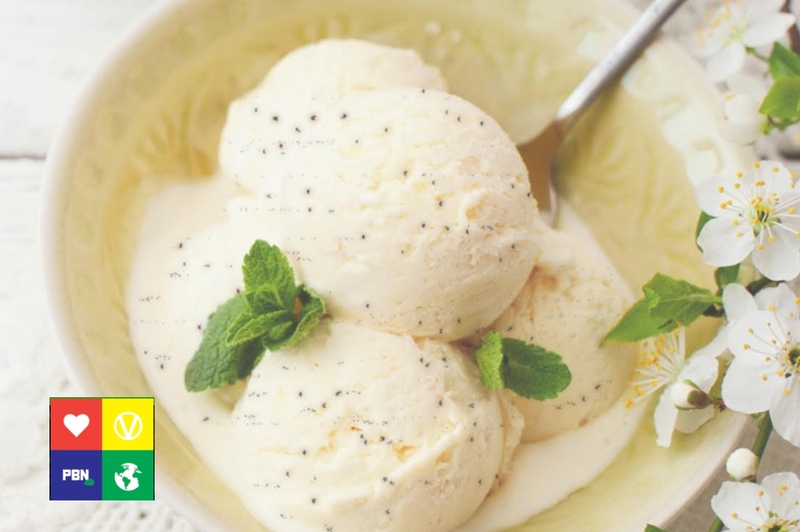 We focus a lot on catering for vegans and we believe Suncream’s vanilla bean vegan ice-cream is the best on the market."